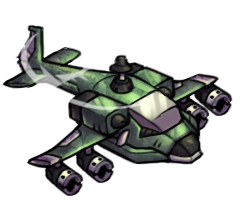 High mobility, vision, attack and defense strength make the Helicopter one of the more powerful units. 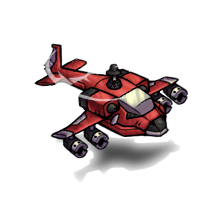 It can fly over all terrain and repairs more quickly. It can also move after attacking. Use this to attack weak units and retreat to safety.